Troubling History In Medical Research Still Fresh For Black Americans : Shots - Health News An influential Harlem church is trying to help the National Institutes of Health overcome reluctance by some African-Americans to participate in a medical study of 1 million diverse Americans. 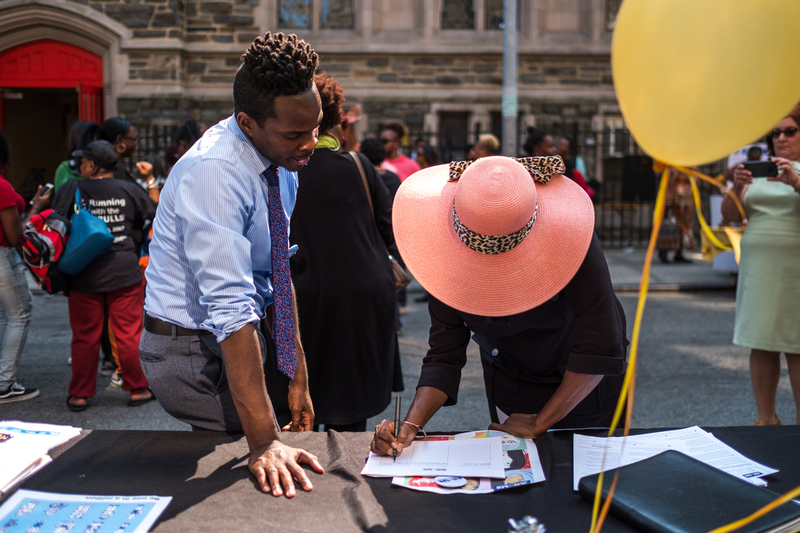 Kolbi Brown (left), a program manager at Harlem Hospital in New York, helps Karen Phillips sign up to receive more information about the All of Us medical research program, during a block party outside the Abyssinian Baptist Church in Harlem. Then, about an hour into the service, Butts does something he has never done before. "I would like to introduce the Precision Medicine Initiative," he says, referring to a huge new project sponsored by the National Institutes of Health. It's now called All of Us. "It is a landmark longitudinal research effort that aims to engage 1 million participants of all ethnicities to improve our ability to prevent and treat disease based on individual differences in lifestyle, environment and genetic makeup," Butts says. To understand that, I visit a clinic more than 30 blocks away at Columbia University. That's where I meet Anne and Steve Halliwell of Irvington, N.Y., who just volunteered for the study. 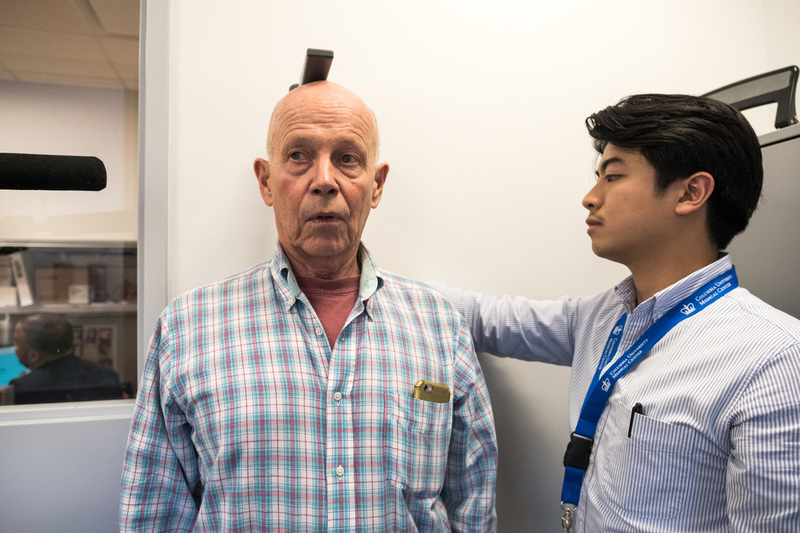 Steve Halliwell (left), a volunteer in the study, has his height measured for a second time by Dan Nguyen, a research assistant involved in the All of Us research initiative. "Sorting out the huge variation in the human race is very, very important — and is the future of good medicine," Steve Halliwell says. The Halliwells spend the next hour learning about the project and answering detailed questions about their lifestyles, medical history and health. They also get their blood pressure, height, weight and waists measured and have blood drawn so scientists can get a sample of their DNA. Anne Halliwell is 67; Steve is 74. They're white. And that's the problem: White people like the Halliwells are much more likely than black people to volunteer for medical studies. The reasons are complicated. One is that African-Americans may not get the chance as often — they just aren't asked by their doctors or don't have the time or resources to volunteer. But another is that medical research has a long, troubled racial history. One example is the Tusgekee study, which involved doctors letting black men die from syphilis. Another example is the case of Henrietta Lacks. She was a poor African-American woman whose cancer cells scientists and drug companies used for decades without her permission. But the list of abuses is long. So the National Institutes of Health and others have been trying to overcome all that, in part by working with groups like the Abyssinian Baptist Church. "This research is not like the Tuskegee experiment," Butts tells his congregation. "And it is supported by some members of the Henrietta Lacks family." "It's for all ethnicities," he says. "And you can bet your life that white folk are in this. They want to know what's gonna keep 'em alive. And we ought to know what's going to keep us alive." 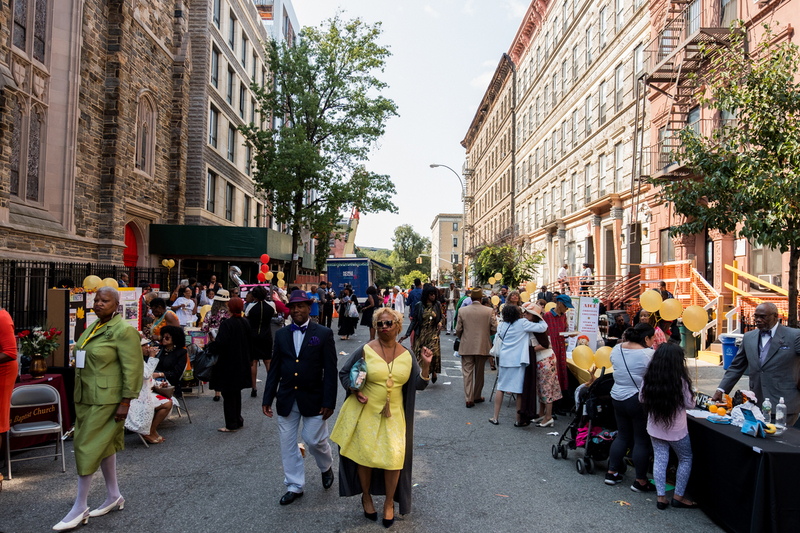 The Abyssinian Baptist Church partnered with researchers on the All of Us project, allowing them to set up an information table at a block party following a Sunday church service. As the service ends and the parishioners file out of the church, they find a block party starting outside. At one of the folding tables lining the block, researchers from the NIH, Columbia and two other New York hospitals are answering questions. "So what is this?" one parishioner asks. "So you're doing research — tell me about this." "It's really a unique program," says Kolbi Brown, the project's program manager at the Harlem Hospital. "Our goal is to get participants — a diverse range of participants. So we want women. We want minorities. We want everybody. But we really want women and minorities to participate in this community, of course." Many people at the block party are enthusiastic. "I can't wait for this program to start," says Joanne Thigpen, who lives in Harlem. "I'm very excited about it for myself and my children." But some are wary. Deborah Fleming listens patiently but then declines an invitation to sign up. "As an African-American, I know that sometimes these things are used against us — not to our advantage," says Fleming, who lives in Dutchess County, N.Y. "So that's why I'm reticent about joining." Deborah Fleming declined to provide her contact information during the block party. She says she hesitated because of abuses of African-Americans that have occurred during medical research in the past. Benjamin Vines Jr., 64, who was enjoying the party down the street, has similar feelings. "It reminds me of the Tuskegee-type thing," he says. "And in my culture, African-Americans are scared of the doctor. They don't go to the doctor until the last minute — until we're almost on our deathbed — simply because of that." A new poll by NPR, the Robert Wood Johnson Foundation and the Harvard T.H. Chan School of Public Health found that about a third of African-Americans say they have experienced discrimination at a doctor's office or health clinic. The poll also found that 1 in 5 African-Americans avoids medical care because of concern about discrimination. At first, I thought it was only older parishioners who feel that way. 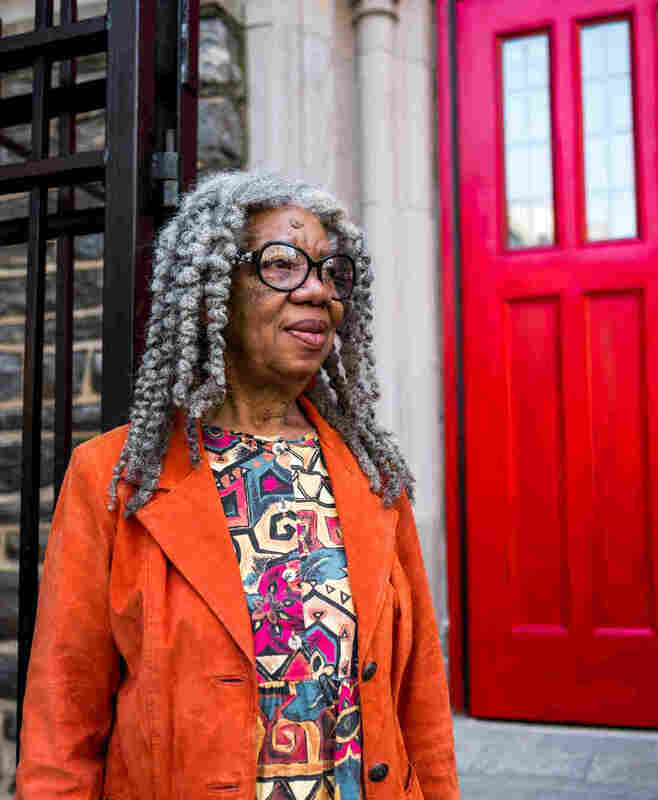 Hortensia Gooding, a 45-year-old graduate student who lives in Harlem, set me straight. "I see my friends mentioning Tuskegee all the time on Facebook," Gooding says. "There's a lot of deep, deep-seated fear and concern that black lives don't matter and that the medical community really will harm people of African descent on purpose — just for profit or just to help someone from another race." And some people's reluctance has nothing to do with Tuskegee or Lacks. Don't forget: The study is asking volunteers to give up a sample of their DNA. "No. Not my DNA — I can't," says 51-year-old Clerance Johnson Jr., who also lives in Harlem. "I don't know what they might use it for," he says. "It might link me to something I don't want to be linked to — any criminal activities." This story is part of our ongoing series, "You, Me and Them: Experiencing Discrimination in America." The series is based in part on a poll by NPR, the Robert Wood Johnson Foundation and the Harvard T.H. Chan School of Public Health. We will be releasing results from other groups — including Latinos, whites, Asian-Americans, Native Americans and LGBTQ adults — over the next several weeks. A previous version of this story misspelled Dutchess County as Duchess and a reference to Abyssinian Baptist Church as Abyssian.